Apple is investing around $500 million to sign games for its new subscription service Apple Arcade. 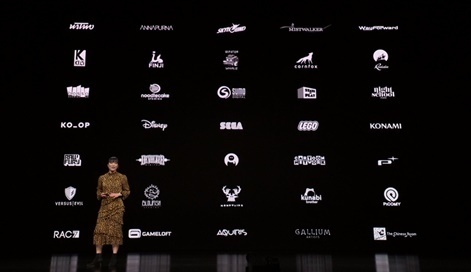 As reported by The Financial Times, several people “familiar with the deals” have claimed that the tech giant is spending several million dollars on most of the 100-plus titles set to launch on the service when it goes live during autumn 2019. Extra incentives are also being offered for developers who make their game an iOS exclusive or delay the launch of their titles on other platforms such as Google Play. Apple declined to comment on the report. It has in the past however admitted to funding game development for Apple Arcade titles. It’s not yet known how much an Apple Arcade subscription will cost or how else developers will make money off the platform. In future, it’s also not quite clear if this upfront investment is the model Apple will take on all games that come to the platform. Whether the service is economically viable and worthwhile for most developers of premium-like games with or without such deals remains to be seen. Current development and publishing partners for the service include Ustwo, Annapurna, LEGO, Bossa, SEGA, Platinum Games and many more. When Apple Arcade was first announced in March, App Store senior product manager Ann Thai admitted that while free-to-play games had been hugely successful on iOS, premium titles hadn’t been as popular or as easy to find. Apple is hoping that its service will be a new home for these types of experiences, which won’t include in-game ads or in-app purchases. “The App Store is the world’s biggest and most successful game platform. 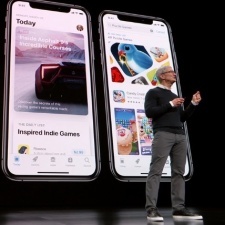 Now we are going to take games even further with Apple Arcade, the first game subscription service for mobile, desktop and the living room,” said Apple senior vice president of worldwide marketing Phil Schiller at the time of the announcement. Not everyone in the industry is so sure of Apple’s plan, however. As we’ve said before, while an exciting announcement, Apple Arcade suits Apple the most. As contributing editor Jon Jordan previously noted when comparing it to Google Stadia, the iPhone maker appears to be trying to turn back the clock to a time when F2P wasn’t dominant and the preferred business model of developers and consumers on mobile. Talk about Apple Arcade and more with hundreds of mobile games industry professionals at Pocket Gamer Connects Seattle on May 13th and 14th.